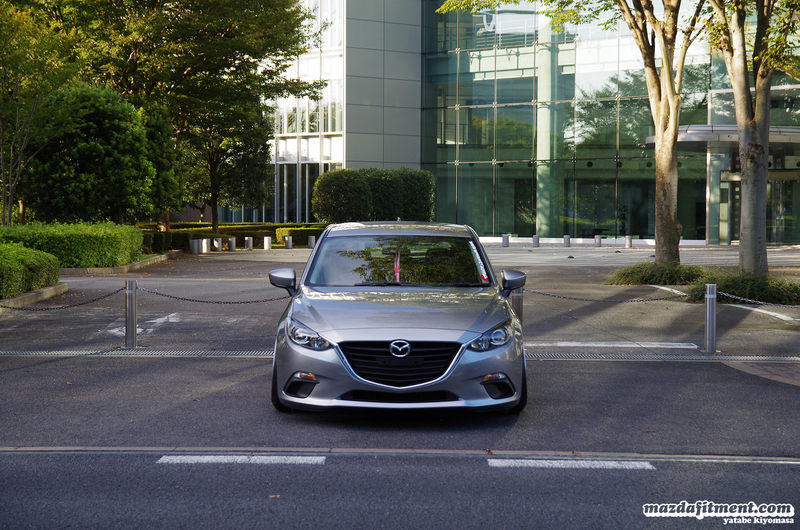 From generation to generation Mazda has taken different directions with the way they build their cars from the interior soul to the exterior skin of the car. 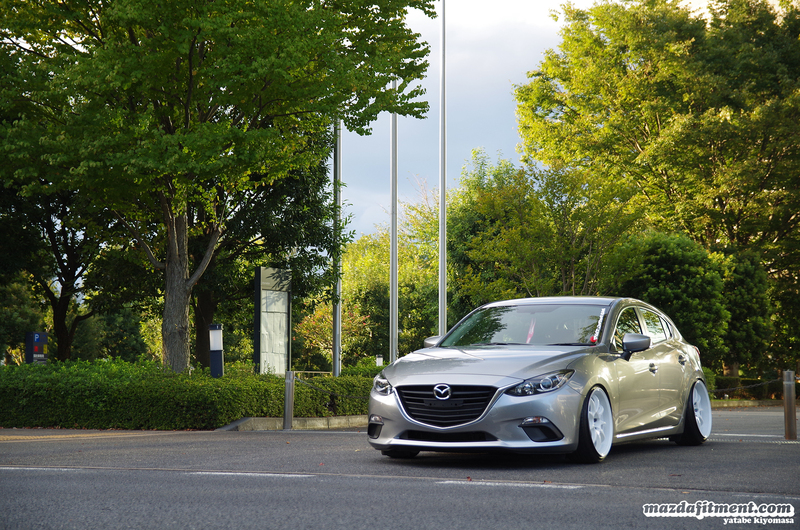 However, it has been awhile since there has been such a profoundly positive direction to the Mazda models; being praised by the whole automotive community. 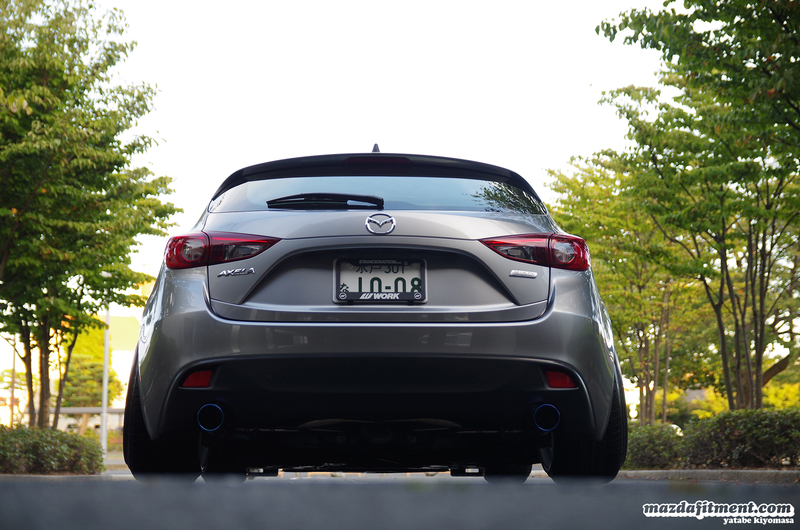 The current generation of Mazda models are inspired by the KODO design direction, which bring back the powerful stance of the car. 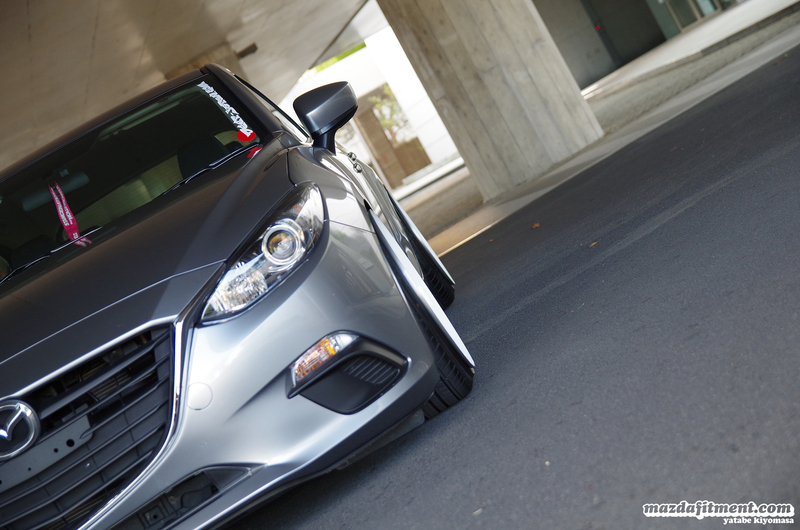 This can be seen on Yatabe Kiyomasa’s 2014 Mazda Axela from Ibaraki, Japan. 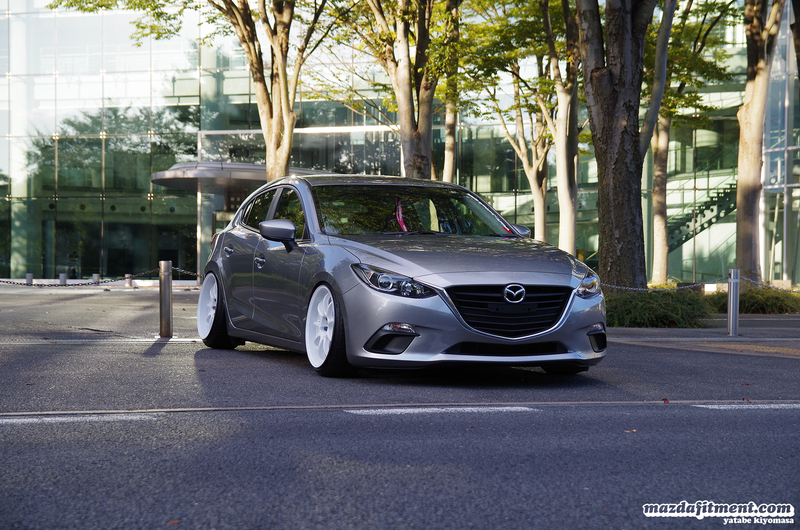 This shows off the simple modifications to the new generation Mazda 3 that can set the car apart from stock as more aftermarket support is given to the car. 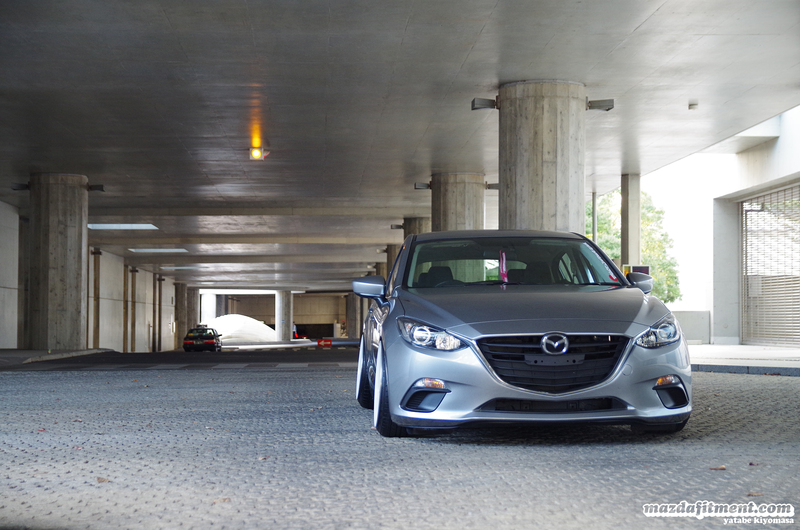 The new more aggressive front end. Way better than the 2nd generation smiley face. 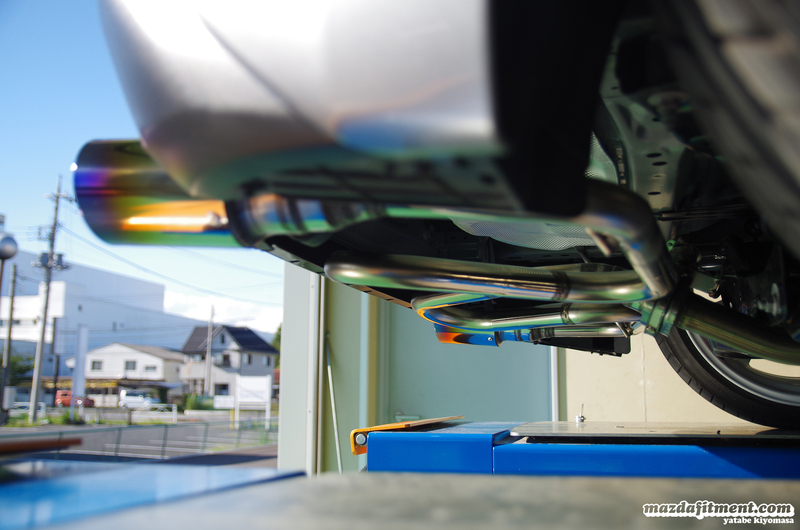 Garage Tomita exhaust system. 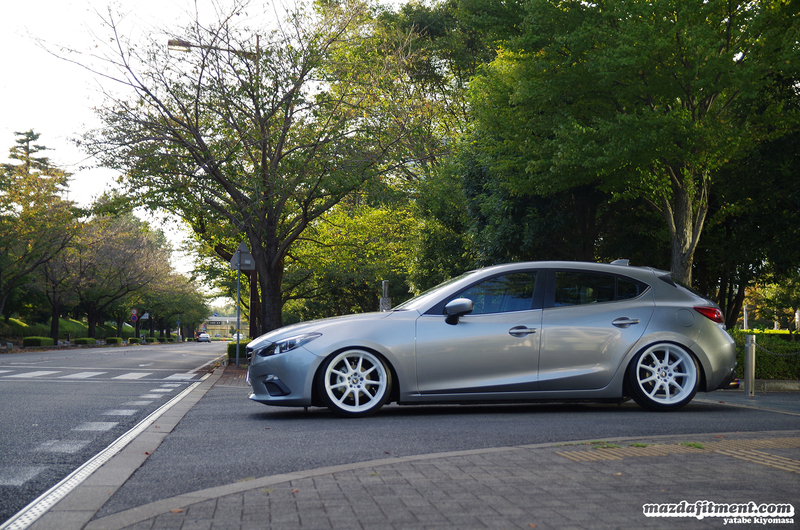 Adds a nice touch from the stock exhaust. 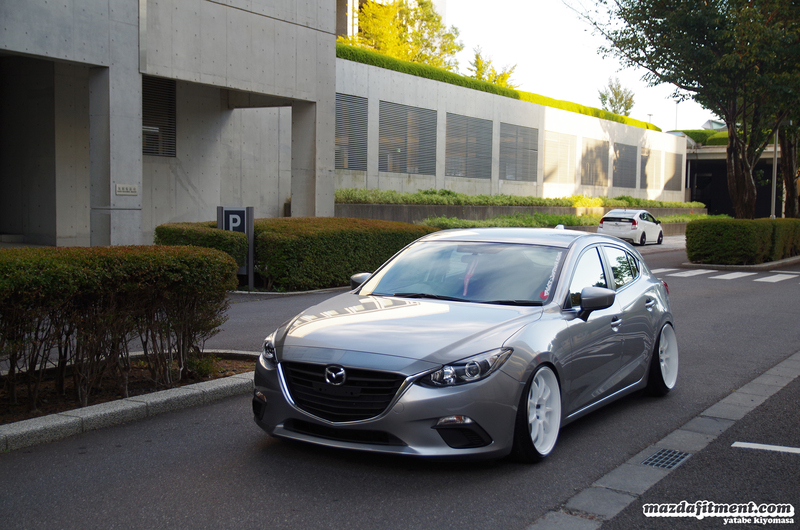 Thank you Yatabe Kiyomasa for sharing this with us. 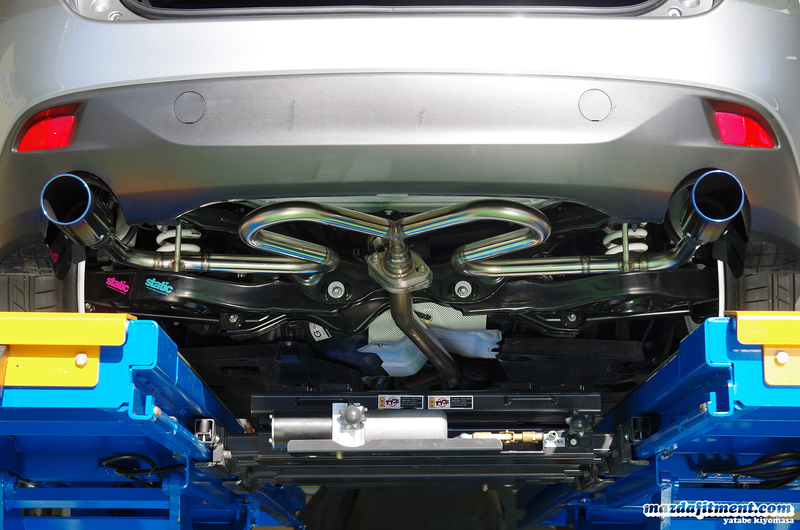 Looking forward to seeing more changes from this build in the upcoming 2015 year. 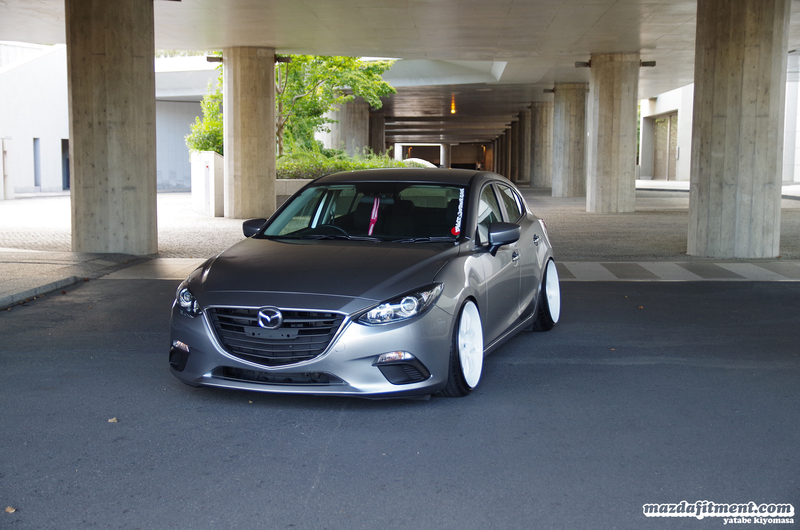 Like always more pictures in the gallery below. Thanks. 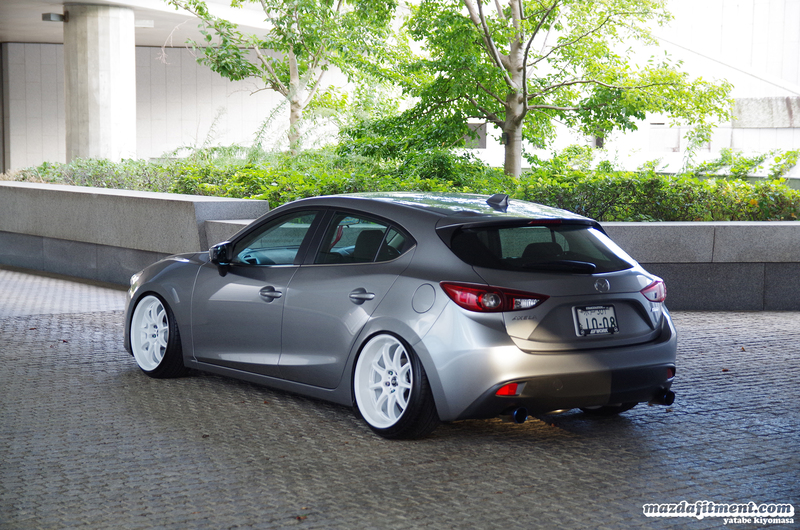 What kind of mazda 3 is this ? 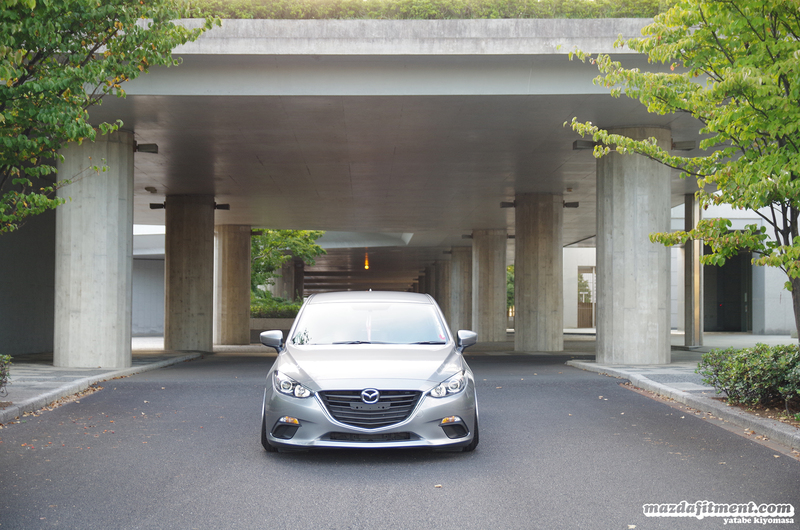 This is the 2014 Mazda 3 hatchback. 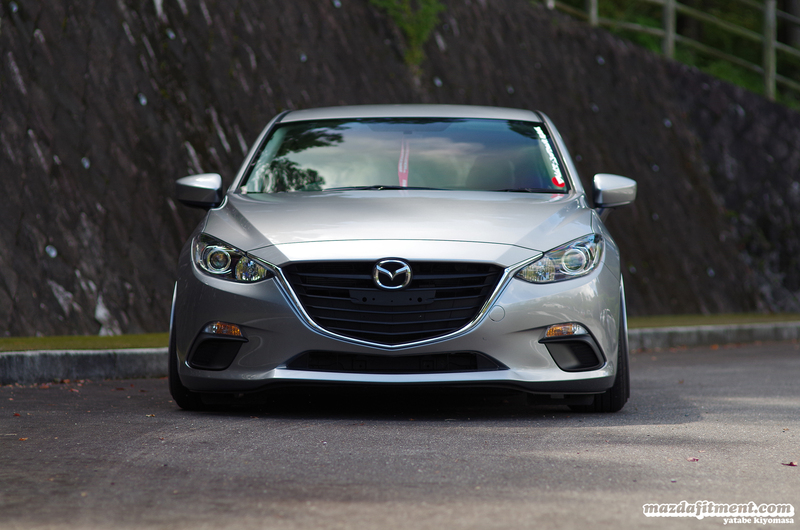 Its the latest face-lift for most of the new Mazda models. 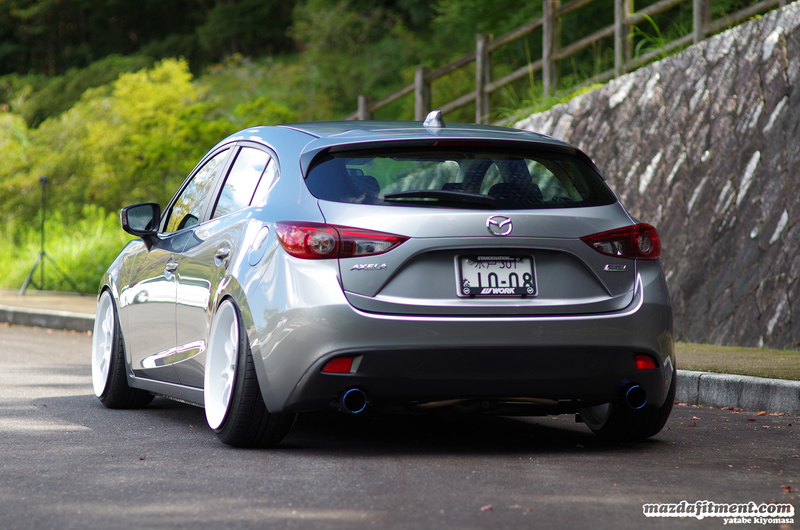 Mazda Fitment ok thks but, which motor he have ? ?